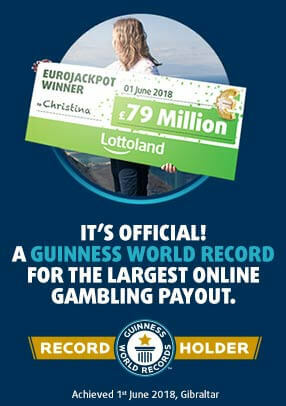 Round up the cash with a potential 6x multiplier and keep your luck going with 13 chances to win! Yeehaw! 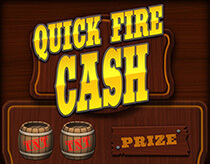 Come and visit to the best saloon in town and try your luck at bagging the cash! Roll the dice to set your multiplier, and you could win up to 6x your prize! Reveal each of the games to see if you’ve won. And with 13 chances to win big, you’ll be shouting yippee ki-yay all the way home! Click on the dice to uncover your prize multiplier. Game 1: Click on one of the [barrels] to uncover two symbols. If you uncover two identical symbols in a same row, you win the prize indicated at this row. Game 2: Click on one of the [coins] to reveal two numbers. If, in a same row, YOUR number is bigger than THEIR number, you win the prize indicated at this row. Game 3: Click on one of the [$ signs] to uncover two numbers. If the sum of the two numbers in a same row is 10, you win the prize indicated at this row. Game 4: Click on the [money bag]. If you uncover a [stack of cash], you win the prize indicated. If applicable, the total amount of your prizes is multiplied by the value of the prize multiplier uncovered. Or press the ‘Reveal All’ button to reveal all items at once. The theoretical average return to player (RTP) is 87.55%.